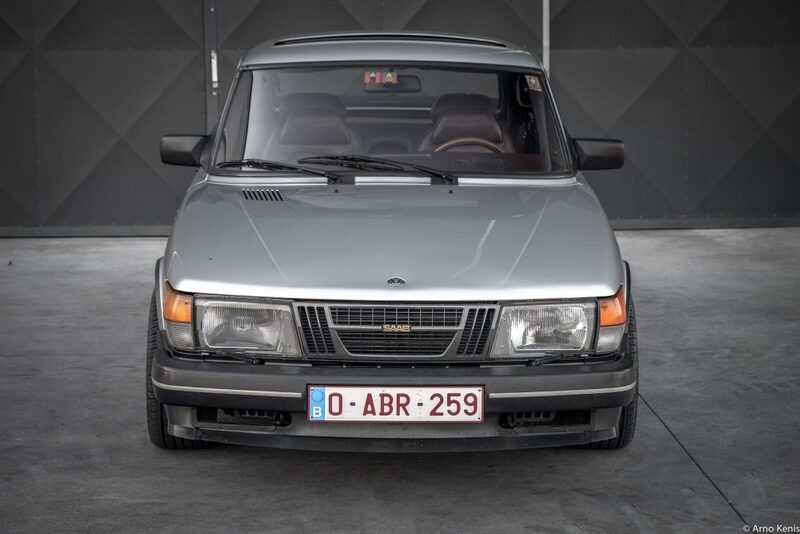 If you’re reading this in America, you probably know this car as a 900 Turbo SPG, but to the residents of its birth country, it bears the quintessentially ‘80s moniker of “Turbo Aero.” Why the dual identity? Well at the time of the Saab’s public debut in 1984, General Motors held a trademark on the Aero name, and were attaching it to their aerodynamically-focused projects. So buyers from the US received an SPG logo on the trunk of their odd little import instead. As for the rest, the model was dubbed either the Turbo 16S or the Turbo Aero—apparently GM either lacked the legal reach to stretch its mighty litigation all the way to Scandinavia, or else weren’t all that concerned with all five Chevy owners in Sweden getting their neighbor’s new Saab mixed up with concept cars in America that they’d never lay eyes on. Who knows. So what’s in a name, really? In this case, there is actually some essential information about the car encoded into its badging—to start, there’s a 16-valve turbocharged 2-liter inline-4 under the hood producing 160 horsepower, and if you read further, the rare “Aero” label designates, among some other touches, a more aggressive aerodynamics package that included those bodacious 3-spoke wheels that are now synonymous with Saab’s styling. 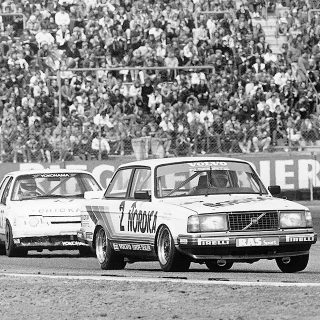 The kit was comprised of the aforementioned skirting and lowered air dams which were developed with the aid of wind tunnel technology, so the next time someone asks you how effective your blocky Swedish polygon is at pushing through the air, you can quote whichever made up drag coefficient you want—as long as you also mention “wind tunnel” no one will question you on its atmospheric slicing abilities. 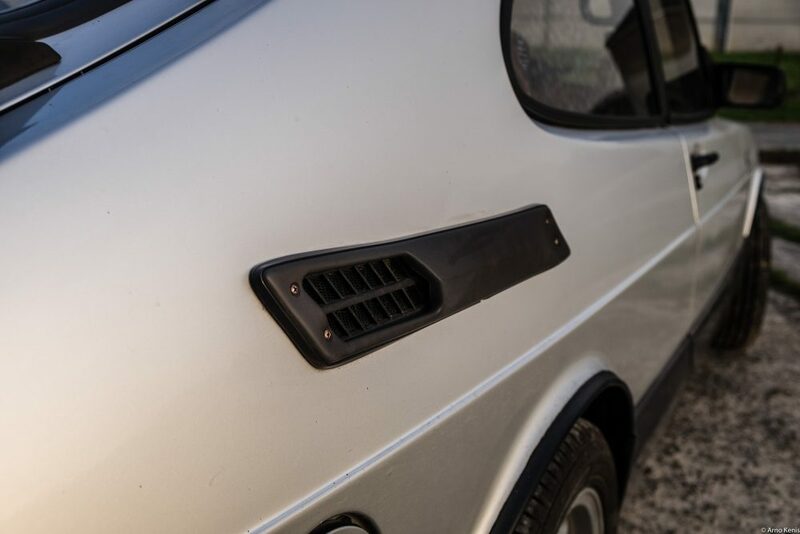 Better aerodynamics aside, just look at this car: yeah, a Countach might be more in-line with the stereotypical vision of the excess gaudiness of the 1980s, but I think you’re lazy if you think that’s the end-all, be-all. For one, the Countach was designed and first built in the ‘70s, and it deserves more respect than being the go-to car of choice for anyone in the props department of a movie about cocaine dealers. 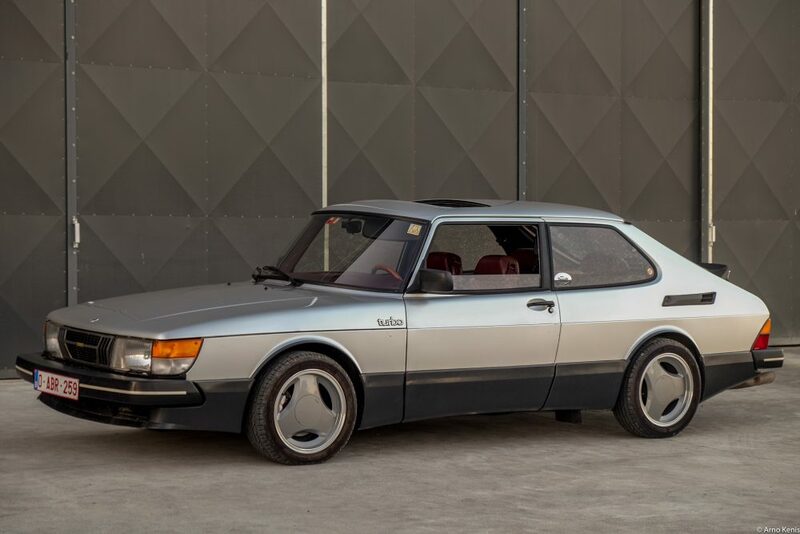 The Swedish slab doesn’t just recall the ‘80s, it is the ‘80s—this Saab captures the decade perfectly. Let’s run it through the list: Is it an expensive and complex sports car from Europe? Check. Does it look like you could make a pretty good origami representation of it with a single sheet of paper and less than ten folds? Check. Does it have the word “Turbo” anywhere on it? Of course it does. Keep your Lambos and Slant Noses, I’ll skip the DeLorean too and drive one of these back in time instead. 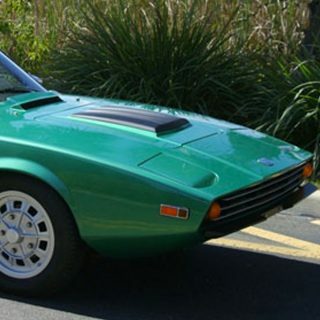 The story of this particular Aero also starts in a different time, and its owner, Arno Kenis, has been a devoted car enthusiast of the Scandinavian slant for quite a while. 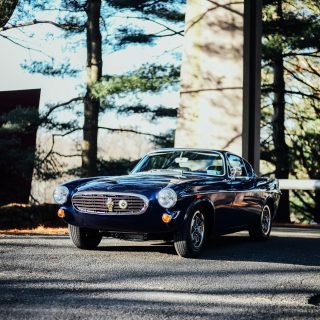 With long hours spent mashed up against his childhood window peering at the passing vehicles, Arno has been infatuated with cars for as long as he can remember. 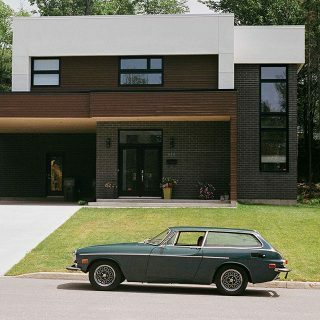 Having a father who owned an eclectic set of sweet Swedes didn’t hurt either though; when his family garage has held Volvo 240s, a Volvo 440 Turbo Intercooler, a Saab 900 Turbo, and a Saab 9000 Turbo (“What should we call the new one?” “Just add another ‘0.’” is a plausible guess at how that meeting might have gone), it’s not difficult to guess which cars Arno started hunting for when he got his license. 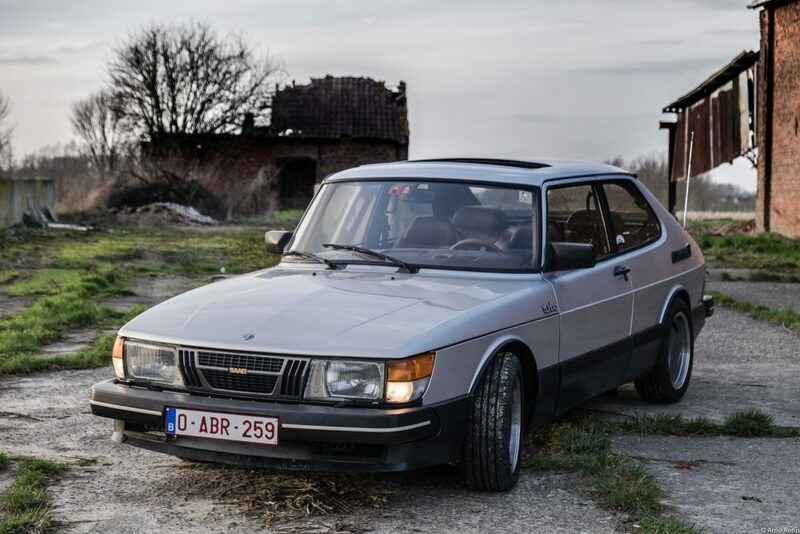 Currently he has a growing collection that includes two more Saab 900s (one of them a non-Aero Turbo, and the other a wholly un-turbo’d model altogether, making his trio of 900s pretty close to a full model range), and he started out in a similar fashion with his first car being an ’88 Saab 900 Turbo, an 8-valve version. 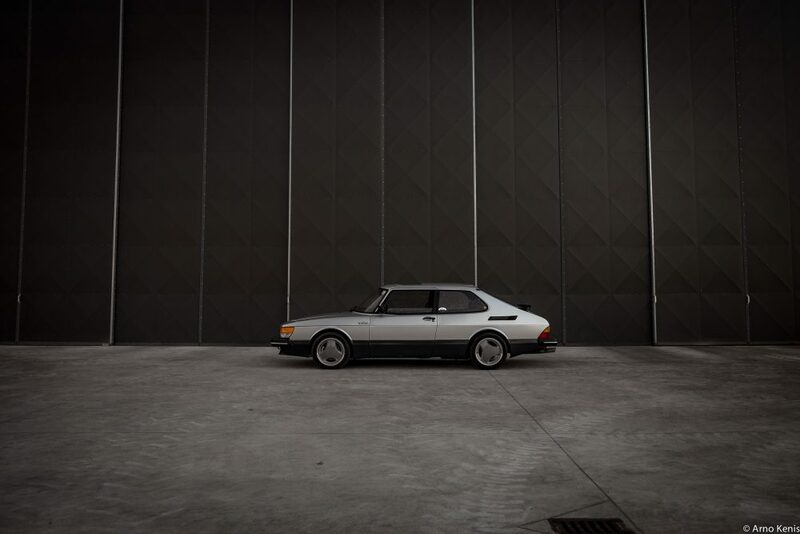 Having trouble keeping track of all of Arno’s Saab 900s yet? He has owned a few. 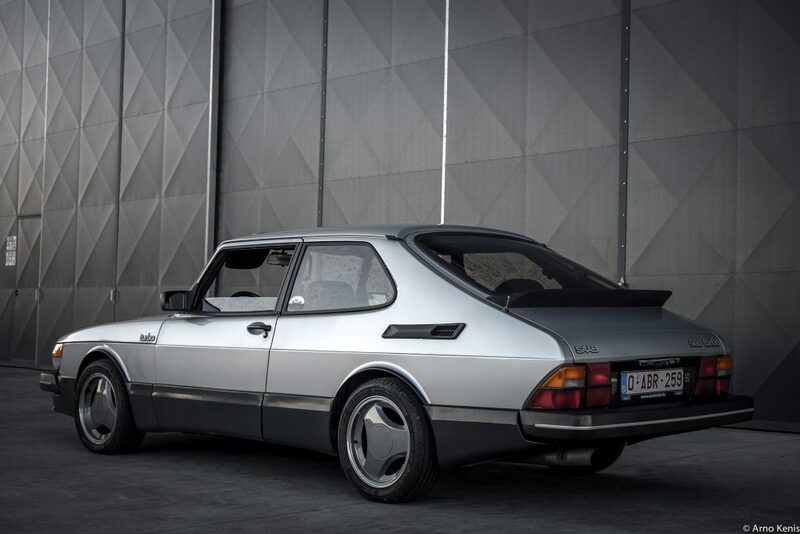 Regrettably though, Arno had to let go of his first car due to the kind of expenses that go along with being young and owning a turbo’d sports car, but that Saab was obviously not just a one-off thing. For over a decade he searched for the right car to quell his yearning for 900s, and last year he landed on the car you see here, the Aero. 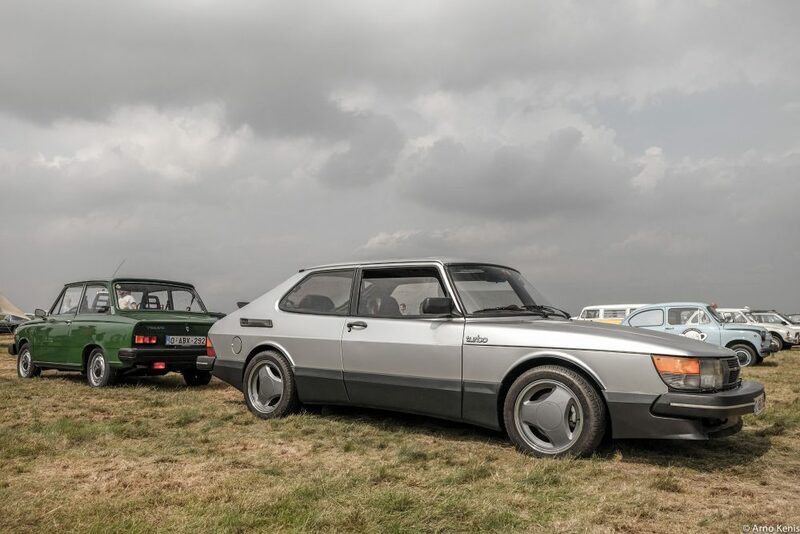 Out of the two color options in 1985 (black with tan, or silver with burgundy), it was the one he wanted, and the rest of the car was in solid shape so he became the proud owner of one of Saab’s most iconic cars from that decade or any other. 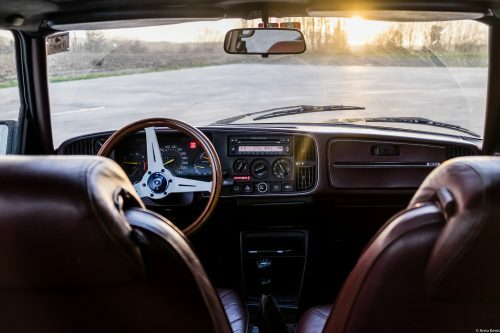 He has fitted a few tasteful modifications in the course of his ownership thus far, a list which contains the likes of a Nardi steering wheel, a black Alcantara headliner, a full Jetex exhaust system, 16” Aero wheels from a later model, and bigger brakes off of a Saab 9000. 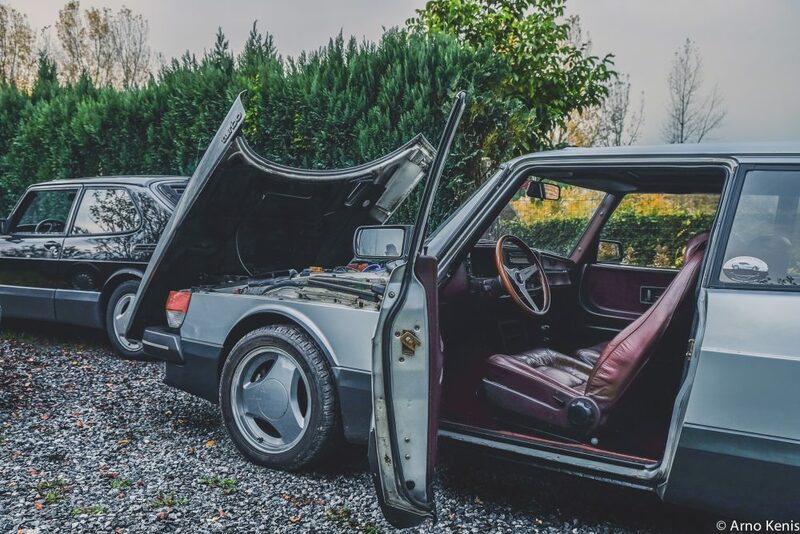 Not content with his own stable, Arno is also building a platform for tales of Swedish car ownership, appropriately dubbed Swedish Car Stories. 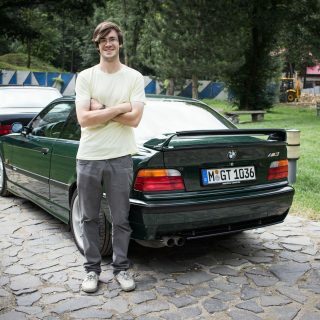 He hopes to use it to bring together a community of like-minded people with the same verve for the cars he’s loved his whole life. 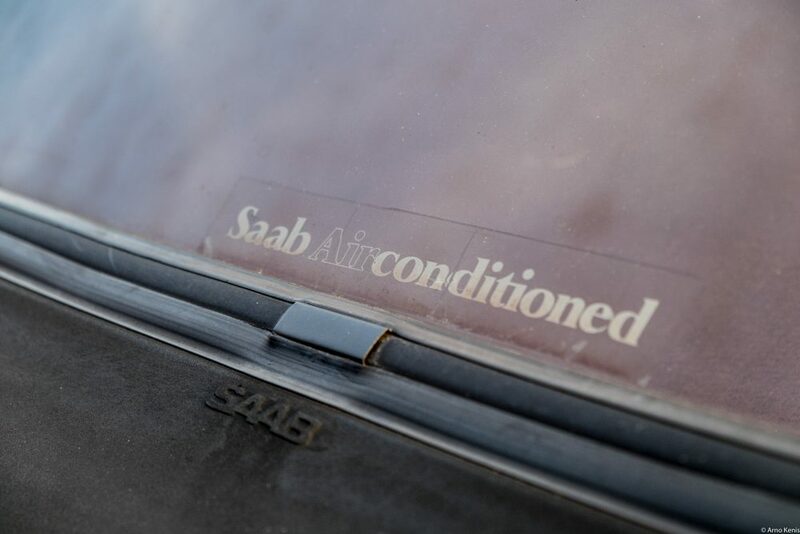 Besides growing that group, future plans involve further mechanical training in pursuit of restoring and modifying vintage Saabs and Volvos for others—because when you’re this into something, it’s even more fulfilling when there are people to share it with. Sleeper. 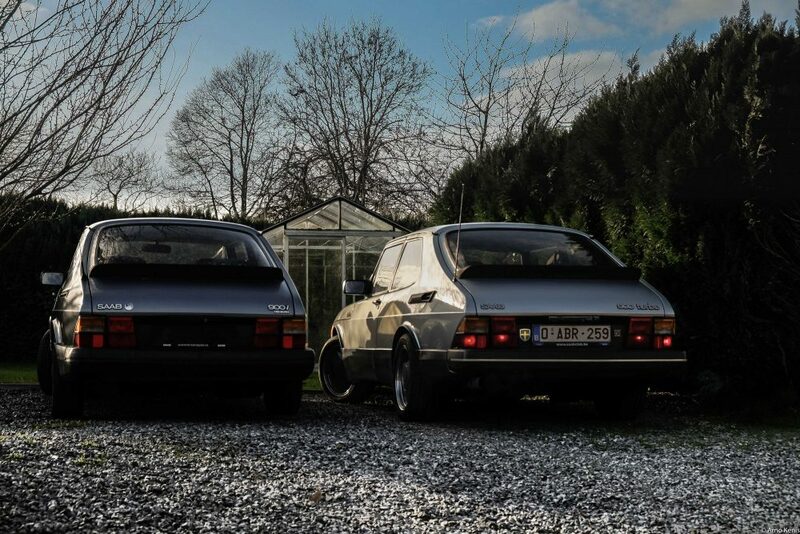 My uncle the police officer had these 900s with special treatment, when hunting speeders on swedish highways. Bigger turbos, revised injection, stiffer lower suspension, no steering servo and a top speed over 270 km/h. We should meet up and shoot some pictures of our cars then! Where in belgium are you? 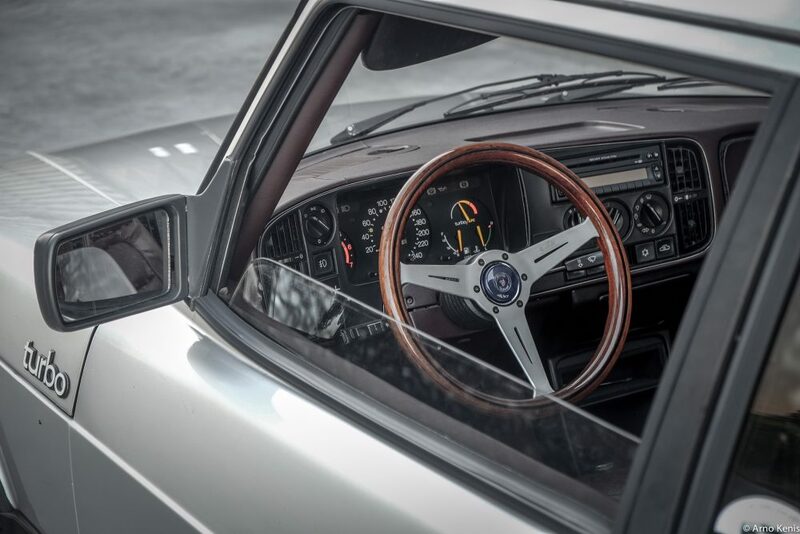 I love the shot of the view through the windscreen, the shape of the glass, the wooden wheel, and the intrigue of the driver’s panel. Somehow the word “throne” comes into my mind. This is a chariot. 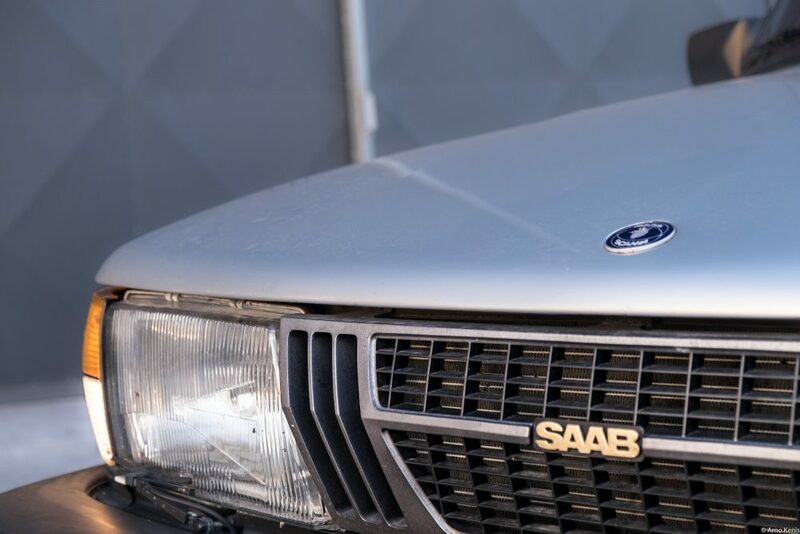 Saab: individual, daring, brilliant, independent. Sniff, sniff. Blame the world, not the car. 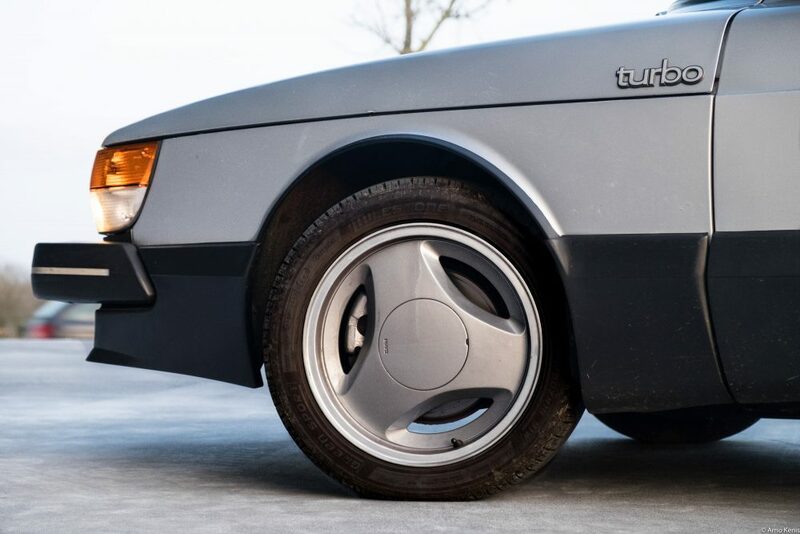 one of my favourite saabs and possibly teh only cra to make tri-spoke wheels look cool. not sure about wood rim steering wheel. I love the wooden steering wheel. It feels nice and I think it looks good with the burgundy interior and the silver exterior of the car. But tastes can be different of course! I had a 1988 Edwardian Grey SPG…. I loved it. Selling cars you love is dumb. Thank you petrolicious for this Great feature! I had a grey 87 SPG that saved me in a head on crash. Replaced it with a red 90 SPG that had something I could’ve used in the 87….an airbag! Their styling is as fresh now as it was then. Who are you?! I was attending college in the Albany area (graduated in 2014) and bought an Edwardian grey ’88 SPG off a farm in VT. It was also rusty in the fender arches but made a terrific daily for a few years. I’m now dailying an ’89 900 turbo convertible (yes that ECU is tender but I’ve been able to limp it along) but I’ve also acquired a rust free SPG shell and another 3 door turbo in about the same shape as my first SPG. Something about the 900s just grabbed me and won’t let go. When current these were among the coolest cars ever, especially in black. 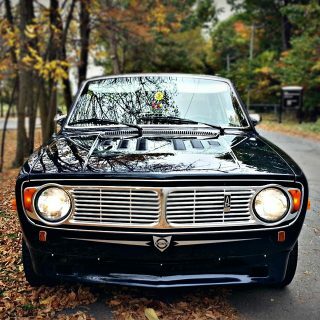 I wish SAAB was still around as a partial antidote to the procession of beigemobiles we see these days. 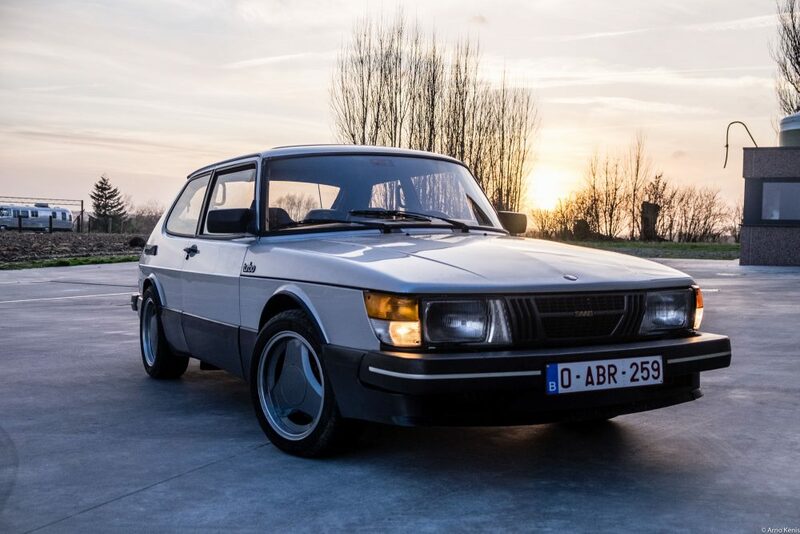 Greatings, i really love the looks of 900 Turbo. 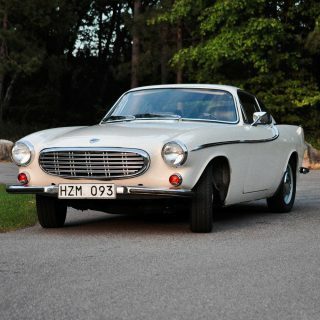 But for some reason the volvos were my choice, part because rear wheel drive. 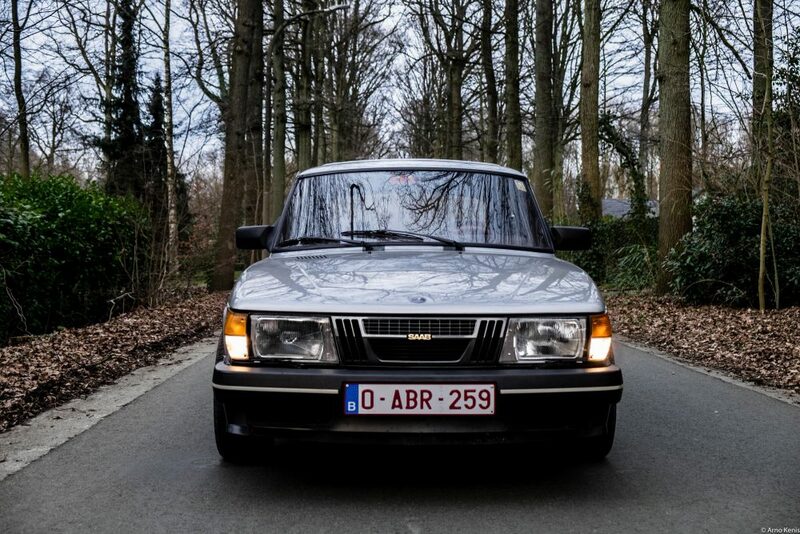 Thats why i have now a Volvo 740 Turbo brick sedan. 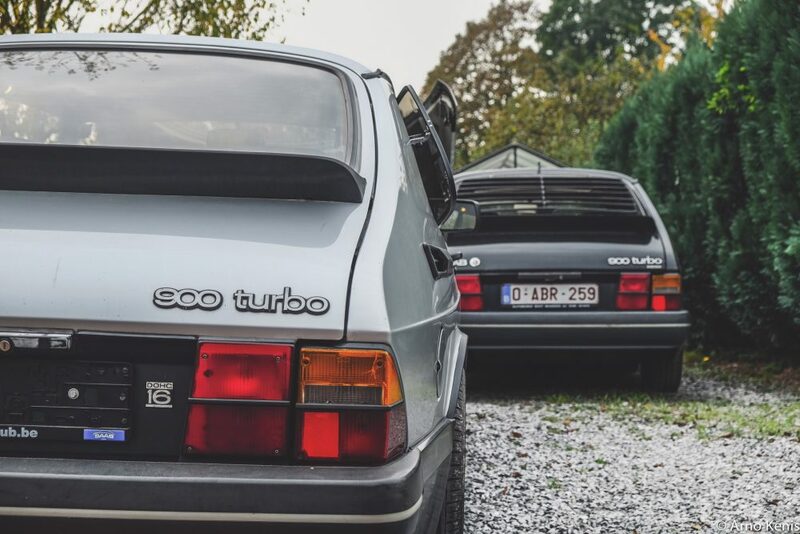 Still i would like to drive 900 turbo. My wife drove a 1981 900 Turbo when I met her. A fun car to drive but give me my Volvos any day of the week. That is actually one of the few pluses of the Sedan(and rare notchback coupe) over the hatch. The Sedan/Notchback are both lighter and stiffer than the 3-door hatchback!